On Win32, removed special handling of non-0 wParam to WM_PAINT. Implement high-priority idle on Win32 to make redraw smoother and more efficient. 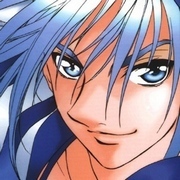 Add vertical bookmark symbol SC_MARK_VERTICALBOOKMARK. Feature #1276. Set default fold display text SCI_SETDEFAULTFOLDDISPLAYTEXT(text). Feature #1272. Add SCI_SETCHARACTERCATEGORYOPTIMIZATION API to optimize speed of character category features like determining whether a character is a space or number at the expense of memory. Feature #1259. Improve the styling of numbers in Nim. Feature #1268. Fix exception when inserting DBCS text. Bug #2093. Improve performance of accessibility on GTK. Bug #2094. Fix text reported for deletion with accessibility on GTK. Bug #2095. Fix flicker when inserting primary selection on GTK. Bug #2087. Support coloured text in Windows 8.1+. Feature #1277. Avoid potential long hangs with idle styling for huge documents on Cocoa and GTK. Calltips implemented on Qt. Bug #1548. Block caret in overtype mode SCI_SETCARETSTYLE(caretStyle | CARETSTYLE_OVERSTRIKE_BLOCK). Feature #1217. SciTE supports changing caret style via caret.style property. Feature #1624. Lexer added for .NET's Common Intermediate Language CIL. Feature #1265. The C++ lexer, with styling.within.preprocessor on, now interprets "(" in preprocessor "#if(" as an operator instead of part of the directive. This improves folding as well which could become unbalanced. Fix raw strings in Nim. Feature #1253. Fix inconsistency with dot styling in Nim. Feature #1260. Enhance the styling of backticks in Nim. Feature #1261. Enhance raw string identifier styling in Nim. Feature #1262. Fix fold behaviour with comments in Nim. Feature #1254. Fix TCL lexer recognizing '"' after "," inside a bracketed substitution. Bug #1947. Fix garbage text from SCI_MOVESELECTEDLINESUP and SCI_MOVESELECTEDLINESDOWN for rectangular or thin selection by performing no action. Bug #2078. Ensure container notified if Insert pressed when caret off-screen. Bug #2083. Fix memory leak when checking running instance on GTK. Feature #1267. Platform layer font cache removed on Win32 as there is a platform-independent cache. 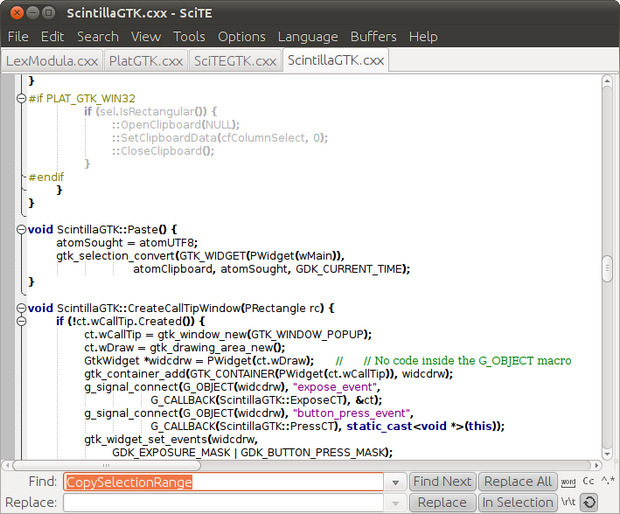 SciTE for GTK easier to build on macOS. Bug #2084.